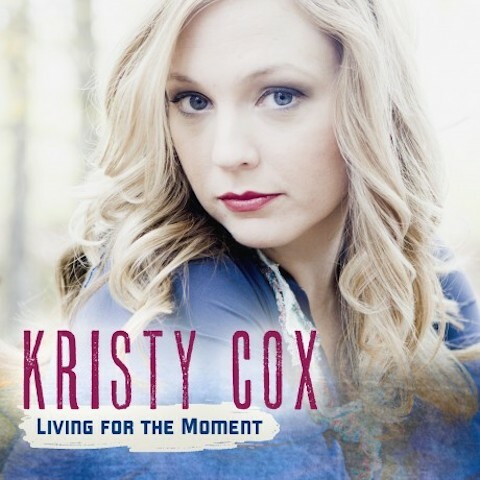 Australian Bluegrass star Kristy Cox is the shining new light in America with her debut US release Living for the Moment. Kristy has multiple Australian Country Music awards to her credit, including the 2013 Australian Independent Artist of the Year. She has found a new home in Nashville, Tennessee and with Pisgah Ridge Records. Kristy’s new album was produced by award-winning Nashville-based songwriter Jerry Salley. It features heavyweight songwriters such as Jim McBride and Gerald Crabb, as well as Kristy’s own co-writing efforts with Johnny Duke, Stephen Mougin, and Jerry Salley. Alongside powerhouse songs, Living for the Moment is delivered by an all-star group of award-winning musicians including Mike Bub, Stephen Mougin, Steve Sutton, David Johnson and Darren Nicholson. The combination of these songs, musicians and Kristy’s stunning vocals make for one stellar recording that will show the world what Australia has already embraced.